Sedation dentistry uses medication to help patients relax during dental procedures. Nitrous oxide, more commonly known as laughing gas, is a gas mixed with oxygen and delivered through a small mask placed over the nose. It is recommended for children who are mild or moderately anxious or nervous, or those who have a severe gag reflex. Nitrous oxide is considered conscious sedation as the effects are mild and your child”will be awake, able to respond to voices or stimulation, and will maintain his or her protective reflexes. Nitrous oxide is safe and quickly eliminated from the body. The effects wear off rapidly once the gas is turned off. We will give your child oxygen for a few minutes after treatment to help flush the body of any remaining gas. There are very few contraindications to the use of nitrous oxide. 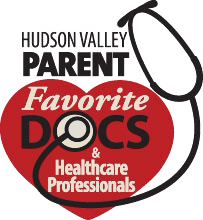 We will always review your child’s medical history prior to it’s use. If your child rejects wearing the mask or refuses treatment even with its use, nitrous oxide may not be the right type of sedation for your child. We are always happy to discuss alternative treatment options for any child. We recommend that you feed your child only liquids or a light meal a few hours before any procedure that includes nitrous oxide, as it can sometimes make your child feel nauseous. If your child is congested or has trouble breathing through the nose on the day of treatment, nitrous oxide may be less effective. In that case, please call our office to reschedule or discuss alternative treatment options. 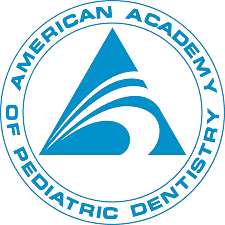 Many children are not able to tolerate dental treatment in a traditional office setting. If your child requires dental treatment but is very young, has severe situational anxiety, or is special needs, please schedule a consultation appointment to discuss your options. We believe in creating experiences that will allow your child to have a bright outlook on dental health throughout their lives, so we are always open to tailoring care to their specific needs.